O artigo relata com objetividade e ampla bibliografia um rol de causas médicas e hospitalares de doenças e mortes que estão se ampliando a ponto de deixar de serem exceções para serem regras, e também aponta o envolvimento geral de médicos e revistas médicas com os interesses da indústria farmacêutica, comandando as prescrições para a medicação alopata, subordinando a pesquisa acadêmica a estes interesses. Angell left the New England Journal in June 2000. In June 2002, the New England Journal of Medicine announced that it would accept journalists who accept money from drug companies because it was too difficult to find ones who have no ties. 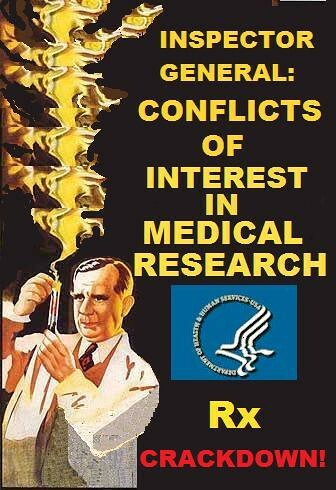 Another former editor of the journal, Dr. Jerome Kassirer, said that was not the case and that plenty of researchers are available who do not work for drug companies. (21) According to an ABC news report, pharmaceutical companies spend over $2 billion a year on over 314,000 events attended by doctors. 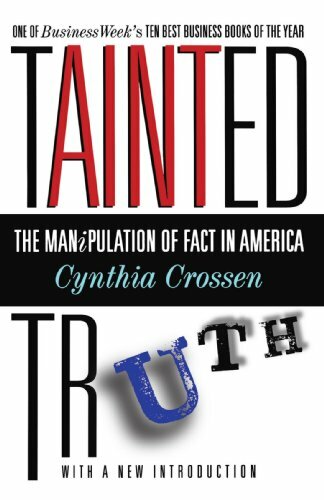 Cynthia Crossen, a staffer for the Wall Street Journal, in 1996 published Tainted Truth : The Manipulation of Fact in America , a book about the widespread practice of lying with statistics. (22) Commenting on the state of scientific research, she wrote: “The road to hell was paved with the flood of corporate research dollars that eagerly filled gaps left by slashed government research funding.” Her data on financial involvement showed that in l981 the drug industry “gave” $292 million to colleges and universities for research. By l991, this figure had risen to $2.1 billion. 1. About two-thirds of the industry’s $9.4 billion budget went to drug research; device manufacturers spent the remaining one-third. 2. In addition to R&D, the medical industry spent 24% of total sales on promoting their products and 15% of total sales on development. 3. Total marketing expenses in 1990 were over $5 billion. 4. Many products provide no benefit over existing products. 5. Public and private health care consumers buy these products. 6. If health care spending is perceived as a problem, a highly profitable drug industry exacerbates the problem. 1. X-ray exposures (mammography, fluoroscopy, CT scans). 2. Overuse of antibiotics for all conditions. 3. Carcinogenic drugs (hormone replacement therapy,* immunosuppressive and prescription drugs). 5. Surgery and unnecessary surgery (cesarean section, radical mastectomy, preventive mastectomy, radical hysterectomy, prostatectomy, cholecystectomies, cosmetic surgery, arthroscopy, etc.). 6. Discredited medical procedures and therapies. Over a decade after Abel’s exhaustive review of chemotherapy, there seems no decrease in its use for advanced carcinoma. For example, when conventional chemotherapy and radiation have not worked to prevent metastases in breast cancer, high-dose chemotherapy (HDC) along with stem-cell transplant (SCT) is the treatment of choice. In March 2000, however, results from the largest multi-center randomized controlled trial conducted thus far showed that, compared to a prolonged course of monthly conventional-dose chemotherapy, HDC and SCT were of no benefit, (71) with even a slightly lower survival rate for the HDC/SCT group. Serious adverse effects occurred more often in the HDC group than the standard-dose group. One treatment-related death (within 100 days of therapy) was recorded in the HDC group, but none was recorded in the conventional chemotherapy group. The women in this trial were highly selected as having the best chance to respond.